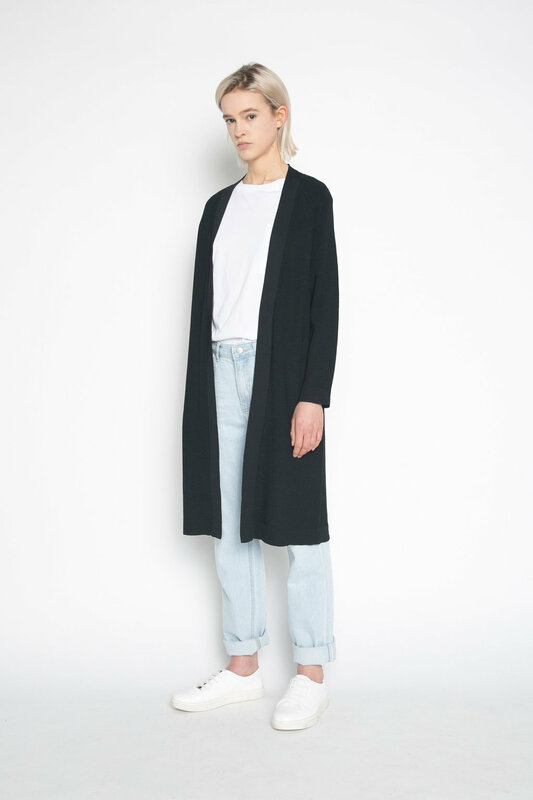 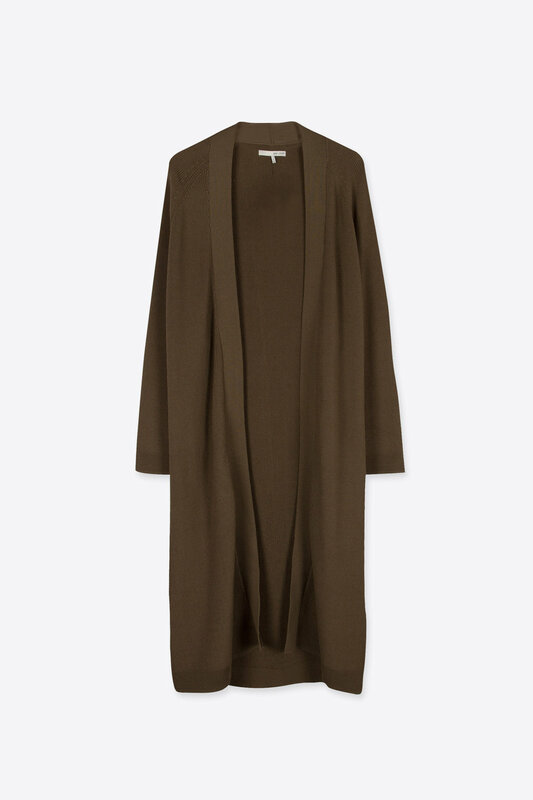 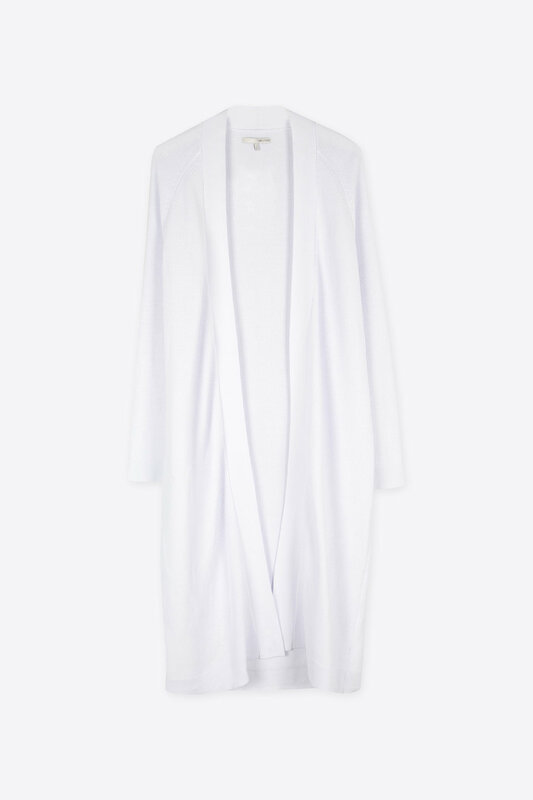 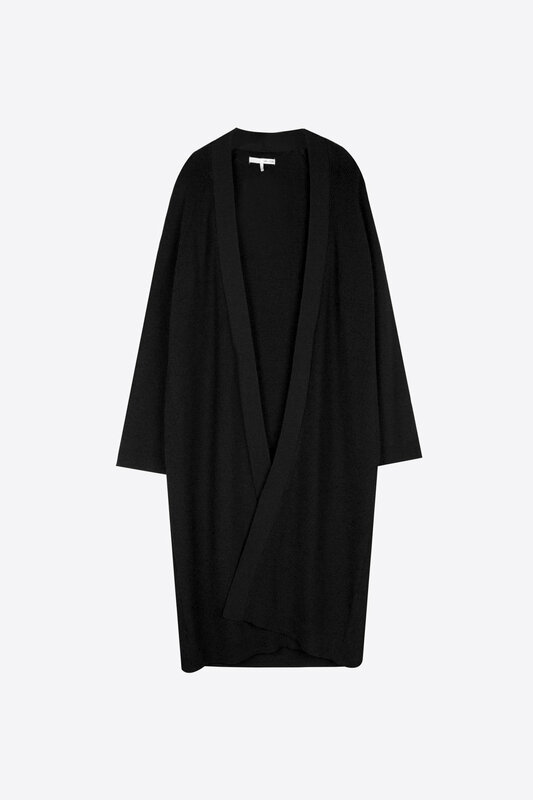 With a day to night appeal, this long cardigan is a must have for elegant spring evenings, crafted with a breathable and heavy design. 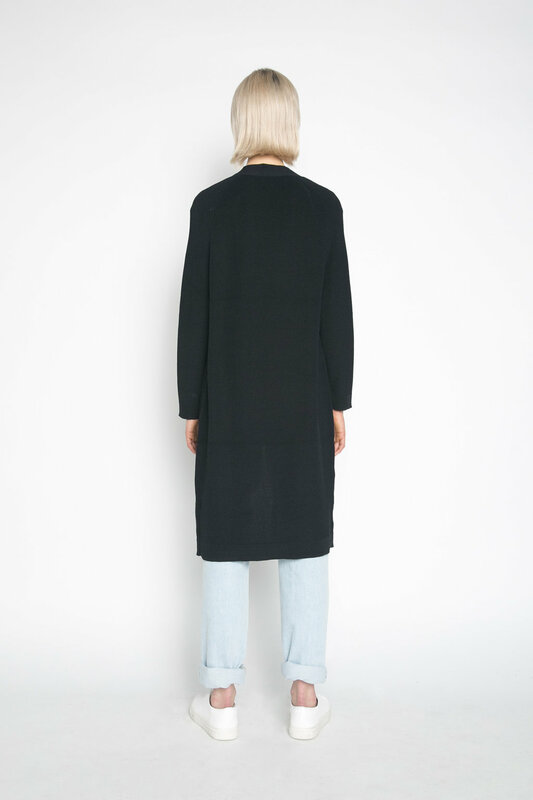 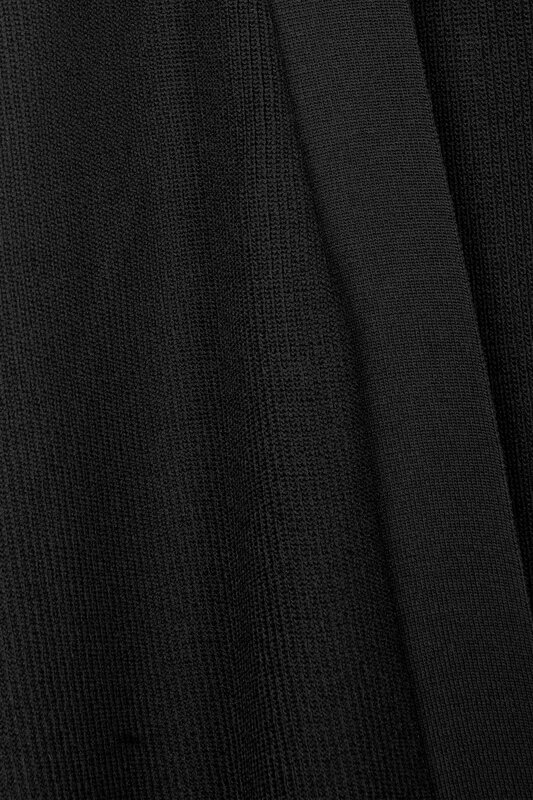 Textured to touch, it features a vertical ribbing, raglan shoulders, and an open front. 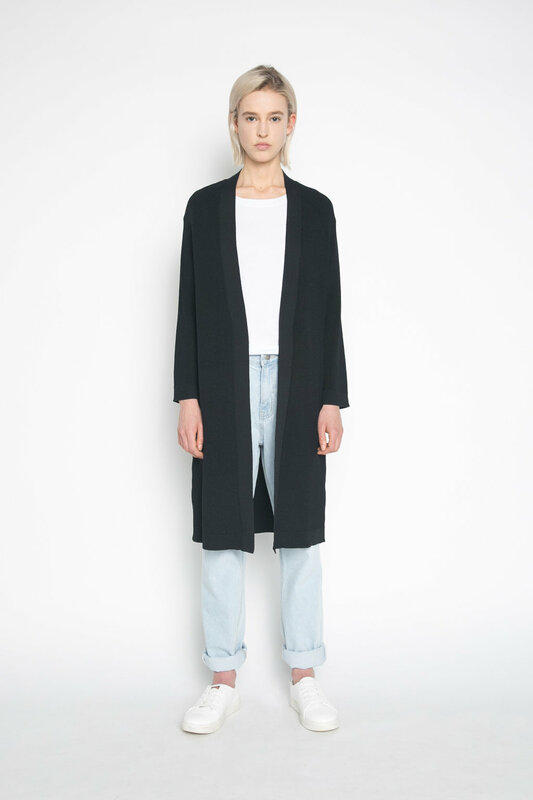 Style over a casual outfit for added detail and warmth.